The Orbi-Shaker CO2 and CO2 XL are designed for use in CO2 incubators and other extreme environments. They can withstand temperatures from 0 to 60°C and humidity to 100%. Remote control means that settings can be adjusted from outside the chamber it is operating in. 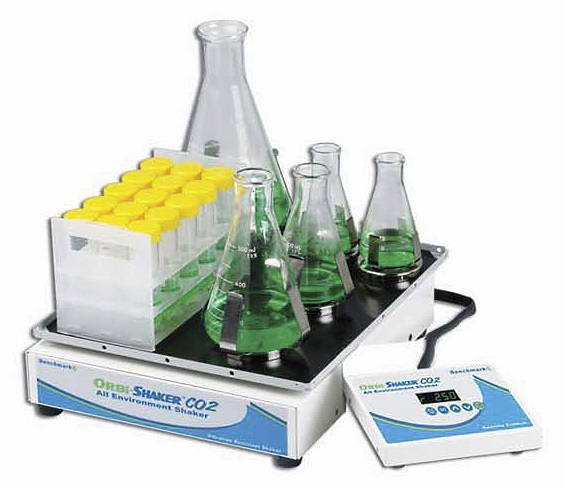 The standard platform that comes with the Orbi-Shaker™ CO2 and CO2 XLhas a flat rubber non-slip mat, ideal for use with tissue culture flasks, Petri dishes, staining trays and other flat vessels and lower speed applications. 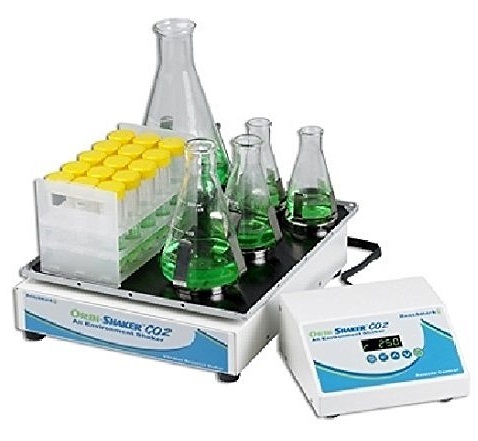 The available convenient MAGic Clamp™ Universal Platforms are for use with Erlenmeyer flasks and test tube racks and are ideal for high speed mixing. The unique magnetic MAGic Clamp™ attachment method is the easiest way to instantly change between flask clamps of different size. The MAGic Clamp™ allows for instant flask clamp exchange without the use of tools, screws or any other hardware.